Patrul emphasized meditation on the four immeasurables: loving-kindness, compassion, sympathetic joy, impartiality. He never failed to recognize the importance of regarding every being as having been, in some lifetime, our own kind mother who took loving care of us, and of developing a heartfelt benevolence, wishing that each and every being should find happiness and the causes of happiness. While he was staying at the Changma hermitage (Willow Hermitage), Patrul would go off into the forest on summer afternoons to a place where there were swarms of black horseflies. He would remove all his clothing and lie down on the ground. Soon his whole bare body would turn black because it was completely covered in black flies. Patrul would stay that way for many hours, not moving, just allowing swarms of ravenous horseflies to bite into his flesh and gorge on his blood. Eventually he'd get up, get dressed, and say to his heart-disciple and attendant, "Ya! Lungtok! Time to go home!" The next day, in the afternoon, Patrul would say, "Ya! Lungtok! Let's go back into the forest and make some more offerings!" After Patrul had completed his visit to Minyak, his path took him in the vicinity of Dargye Monastery, which was well known for its sectarian sentiments. A few monks standing outside the monastery saw a shabby nomad lama. Seeing his dress and demeanor, a few monks guessed that he likely belonged to the Nyingma school. Thinking to taunt him, one monk stepped forward, demanding, "Where have you come from? Where are you going?" This time, Patrul seized the initiative. "Ah, you Gelukpas, you're just so fantastic!" Patrul replied. "All you Geluk tradition holders just keep going back and forth! You go all the way to the center of Tibet, to Ganden and to Sera, to study hard! Then, to teach, you come back again! Back and forth, over and over!" "Old Nyingma practitioners like me are such yokels," mused Patrul, shaking his head. "We just stay in one place all our lives, wrapped in a blanket, and in the end, we never come back!" Please by what seemed to be flattering praise, the monks let Patrul go on his way, unmolested. Not long afterward, the monks ran into their geshe, the monastery head. They told him that a wandering lama had just come by. "He was a sweet Nyingma hermit," one monk said. "And he said very good things about us!" Skeptical, the Geshe asked, "What exactly did he say?" The Geshe shook his head, saying, "No those were not 'very good things.'" The monks were mystified. The Geshe explained: "His allusion to our going back and forth meant we Gelukpas just keep cycling through samsara, over and over, as opposed to those Nyingmapas, who, through their so-called Dzogchen meditation practice, attain the level of 'no-return' [to samsara]!" The Geshe told the monks to go after Patrul and bring him back, but wily Patrul was long gone. The power of the Dzogchen teachings lies in direct experience. Patrul often went out into the wilderness in order to practice some of these teachings. At Trama Lung in the Upper Dzachukha Valley, where his master Jigme Gyalwai Nyugu spent years in retreat, Patrul gave detailed meditation instructions to Önpo Tenga (Orgyen Tendzin Norbu) and other fortunate students. First, he taught the extraordinary Dzogchen preliminary practices callled "distinguishing samsara from nirvana." Later, he taught the main practices, trekchö and thögal. After he had given a teaching and the instructions for how to do practice, everyone practiced, Patrul doing so along with his students. Önpo Tenga later remarked: "Each one of us had been given these Dzogchen teachings before. Each one of us had already received these meditation instructions and practiced them. Some of us had even taught these teachings to others! "What we'd considered our 'understanding' turned out to be nothing but conjecture and fantasy. The detailed oral instructions Patrul gave us at Trama Lung were the result of his own meditation experiences. Following his instructions resulted in our having actual direct experience as a result of our practice. We were able to obtain results. They were direct and obvious, like seeing something that's right in the palm of your hand. 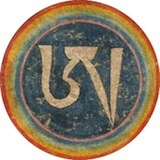 "You may be a practitioner of Dzogchen, someone able to recognize awareness as it arises, but when you blend the deep devotion of Guru Yoga with practices such as 'distinguishing samsara from nirvana,' you make more progress. "All this became clear at Trama Lung." Patrul stressed that wisdom without fervent devotion toward one's root teacher, there is no way to achieve the realization of Dzogchen. As he got older, he practiced the Guru Yoga according to the Longchen Nyingthig all night long. People nearby could hear his deep voice singing "Precious One, Lotus-Born Guru, think of me!" I read this book after coming across this topic and loved it, would you have any recommendations for similar books? The books I generally read about dharma are usually about practice, and I have stopped reading those to concentrate on doing a couple of practices properly, but this was nice to read before bedtime, good things to sleep upon. Thank you! I just bought Blazing Splendor. The first part of "The Life and Times of Jamyang Khyentse Chökyi Lodrö", "Remembering Rinpoche" by Orgyen Tobgyal Rinpoche, is more than 250 pages and is somewhat similar, as it is basically a collection of stories. I found it quite interesting. I haven't read the second part, the namtar by Dilgo Khyentse Rinpoche, yet so I can't really comment on it. Thank you for the suggestions, I have plenty of reading material now for the next few weeks/months. I loved From the Heart of Tibet ... it is a biography of HH. Chetsang Rinpoche amazing story! Also Blazing Splendor is great ... I am reading it at the moment and cannot get enough of it! Also Rainbow Body: The Life and Realization of a Tibetan Yogin, Togden Ugyen Tenzin is a wonderful read, very short and bit more classical, but amazing. Or even story of Ayu Khandro... https://treasuryoflives.org/ is a great website. It is so special to be able to read stories of great masters. It inspires one to practice and even such dumb unfeeling person like me feels a little bit moved. Thank you for the suggestions! Rainbow Body and the story of Ayu Khandro look particularly interesting to me since I follow ChNNR. I understand what you mean, its a kick up your behind when you make silly excuses for not practising when you read about the hardships they went through and how much work they put in. My favorite Patrul Rinpoche teaching here - it's a bit long to quote the whole thing. Spot on. Beguiled, entranced, and fooled by appearances. Are you aware of that? Are you? You've got to watch out. There is a different translation of this in the book, I am not sure if it can be found online. If it is fine and doesn't violate any laws or ethics, I could type out the entire thing here. The long biography of Gyalse Thogme - Author of the famous 37 practices of a Bodhisattva. However, it is in Chinese. This the link for the download site. Tip : I just got a kindle copy of this for £2.21 ( $3)! I'm not sure why the kindle version is so cheap at the moment but I expect it could be a temporary mistake. Fyi, you can read kindle books on your browser or get a kindle app on smartphone/tablets.